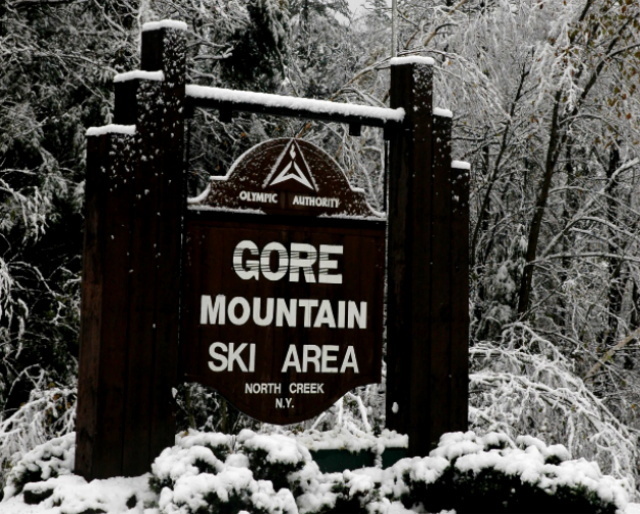 Located in the Adirondacks, Gore Mountain is New York State’s largest ski and ride resort. Boasting a vertical drop of 2,537 feet and 446 accessible acres, it spans four mountains including Gore, Bear Mountain, Burnt Ridge Mountain and Little Gore Mountain. The resort offers skiers and riders 119 trails including 107 alpine trails with 27 glades and 9 cross-country and snowshoe trails serviced by 15 lifts. The terrain is 10% beginner, 50% intermediate and 40% advanced accommodating all levels. Two lodges, ski shop, rental shop, accessory and clothing shop, restaurants, cafeterias, demo center, repairs, and Snow Sports Center. First aid is available on site with a hospital 40 miles away. Drug store, liquor, grocery, gifts, bank, and post office located in North Creek. Child care available for children ages 6 months to 6 years. Get Snow Reports, Powder Alerts & Powder Forecasts from Gore Mountain straight to your inbox!